Making sure their medical records are up to date and accurate could save Airmen selected for a random drug test a lot of trouble. In addition to testing for illegal substances, random drug tests also screen for a number of prescription medications, including amphetamines and opiates, like morphine or oxycodone, among others. Taking the drug illegally can lead to legal action or even discharge from the Air Force. Having to prove that they have a valid prescription can lead to a lot of headaches for Airmen, including possible disciplinary action for not ensuring their medical records are correct, and unnecessary work for the medical squadron. “According to (Air Force Instruction) 48-123, (“Medical Examinations and Standards”) it’s the members’ responsibility to ensure their medical records are up to date and correct,” said Col. June Cook, the chief of professional services within the command’s Medical Services Directorate. “Primarily, making sure your medical records are up to date and correct is a readiness issue,” Cook continued. When an Airman gets dressed for his or her job, he or she dons apparel and equipment that were developed, produced, deployed, sustained, and modified by a group of fewer than 20 people working at Wright-Patterson Air Force Base. The Air Force Uniform Office, Air Force Life Cycle Management Center, has been at Wright-Patterson AFB since its inception in 1947. 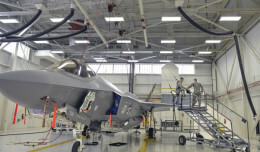 It receives program requirements and direction from the Air Force’s chief of staff; Manpower, Personnel and Services; Logistics, Engineering and Force Protection; and combatant commanders. Through the years the office has designed men’s and women’s service dress uniforms, utility uniforms, mess dress uniforms, maternity uniforms, sweaters, and physical training uniforms. The uniform items and equipment are designed to enhance Airmen’s appearance, performance and combat readiness. All new designs as well as continuous product improvements are developed with user input and involvement in fit and wear tests. When a technical data package is complete, it is provided to the Defense Logistics Agency or Army and Air Force Exchange Service for procurement. The AFUO has technical responsibility for clothing items until they are retired from the system. Through the Continuous Product Improvement program the AFUO is able to identify, track and resolve issues on sustained uniform products. The office manages 500 items used on a more regular basis but the total number of items for which it is responsible is in the thousands. The AFUO products are worn by the newest Airmen entering the service through senior leadership. The study of human anatomy has helped further medical science since the third century. Often reserved for medical students or researchers, cadaver training at the 59th Medical Wing is helping medical technicians today build confidence and hone critical life-saving skills. The new breed of Air Force medics is testing the concept by verifying the effectiveness of cadaver training in the Sustainment for Trauma and Resuscitation Skills Program, according to Staff Sgt. Reginald Gilchrist, the NCO in charge of the STARS-P.
“The high fidelity medical simulators we utilize during the course are some of the most advanced on the market, but still do not compare to working on cadavers,” Gilchrist said. The training environment is also a safe place for students to experience the gamut of emotions that come from being in a situation where someone’s life may depend on how a medic reacts. Airman 1st Class Edward Robinson, a 559th Medical Operations Squadron aerospace medical technician, said the hands-on training was very beneficial since she has yet to deploy. “Now I have a mental picture of what to expect and won’t freeze up from the shock of seeing something like this for the first time,” she said. That’s what Gilchrist aims to do with students so they can experience their emotional reactions in a classroom setting first. “If you don’t care about the man to the left or right of you, get back on the bus and go home,” shouted Air Force Master Sgt. Gabe Rodriguez, as he watched 24 pre-Ranger candidates struggle to low-crawl up a sandy hill in the New Mexico desert April 20. Rodriguez is one of less than 40 actively serving Ranger-qualified Airmen. While his full-time job is at the Air Force Security Forces Center at Joint Base San Antonio-Lackland, Texas, he has an equally important part-time job — selecting the next generation of Airmen to attend U.S. Army Ranger School. It is a job he and his fellow Ranger instructors take very seriously. About 50 to 60 Airmen a year volunteer to attend the bi-annual AFSFC Pre-Ranger Course at Fort Bliss. Passing the course, which mirrors the first two weeks of Ranger School, is a requirement to attend the school. Wilfong, a security forces Airman at Nellis AFB, Nevada, has served as an instructor at the Air Force’s pre-Ranger school 13 times. Ranger School began in September 1950, with the first class graduating two months later. Within a few years the Air Force began sending its personnel to Ranger School.